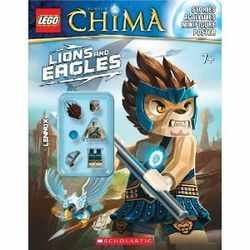 Lions and Eagles Activity Book is a book released in April 2013. It contains Lennox's minifigure parts. Facts about "Lions and Eagles Activity Book"